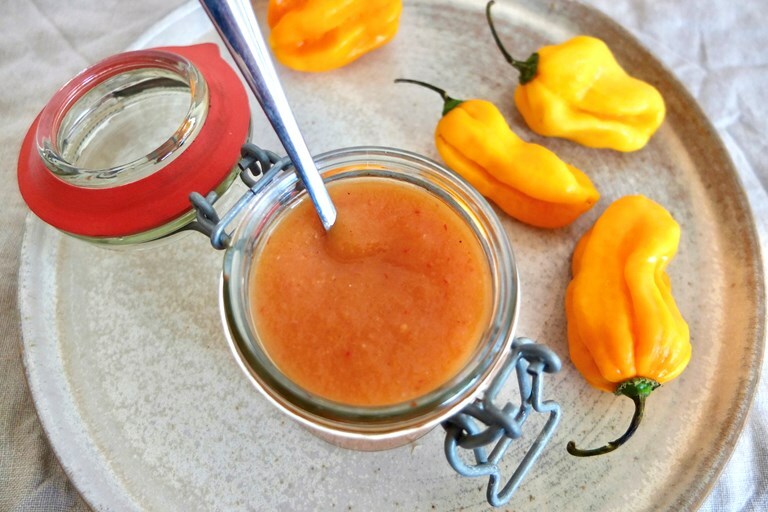 Scotch bonnets are revered for their heat, but once tempered with pineapple, mango, vinegar and spices, they can become the backbone of a fantastic chilli sauce – as this recipe proves. Take a look at all of Helen's hot sauce recipes here. This recipe makes approximately 1.25 litres of sauce (5 x 250ml jars).